Join Our Mailing List & Save Up To $250! We have always taken the time to explore the technical opportunities and possibilities in pursuit of the perfect process and combination of the finest materials. But the critical component has always been you. 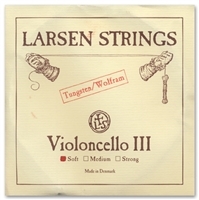 We work with musicians in string development as an essential phase of the Larsen process. Working with you to discover the soul of your instrument. 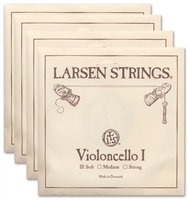 Our A and D strings are wound with a special precision rolled stainless steel flat wire. Meanwhile, the G and C strings are wound with tungsten, providing a deep, warm and focused sound with great power and personality. 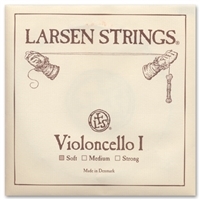 All four strings are offered in tensions soft, medium and strong. 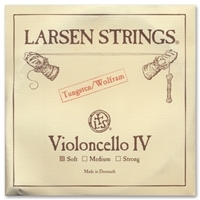 Our solid steel core Cello range is completed by an E string. This string is wound using precision rolled aluminium. 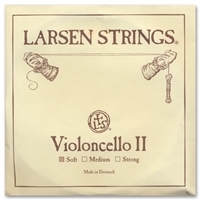 At Larsen Strings we make every effort to ensure that our strings are of the highest quality with the consistently unique Larsen sound. © Copyright 2015 J.S. Fisher Violins, LLC. All Rights Reserved.